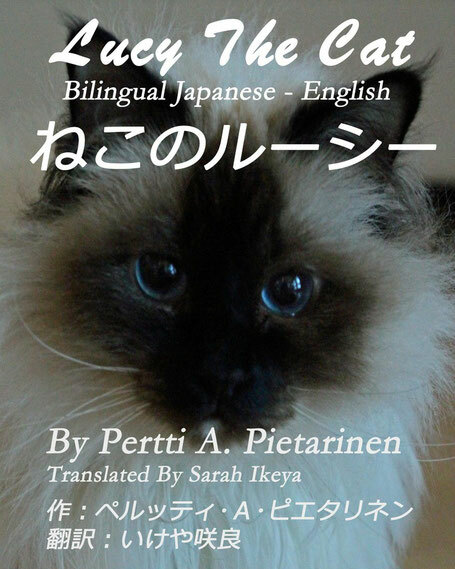 Lucy The Cat is an engaging story about Lucy, the curious, cute Sacred Birman cat. Especially cat lovers of all ages will enjoy this book and it is excellent reading for children from 2 to 10 years. After reading this book you will certainly love Lucy The Cat. The English version has received lot of 5-Star reviews in Amazon.com and is available as bilingual Japanese - English version. Hiragana text suits well for young readers and together with English text it is also an excellent learning tool for English as a second language students. Fluffy or striped, doesn’t matter at all. Miss Lucy, please, tell your story.